Are you kidding? You’ll have to start a petition to get me to shut up! Every book I write (and I’ve just printed out the third draft of my eighteenth) is built on a rock-solid foundation given to me by public libraries. To start at the beginning: I used to read fast and furiously when I was a wee girl. We were a family of six and books were expensive so those little bits of orange cardboard were my tickets to Wonderland, Mallory Towers, Wuthering Heights and Oz. I got books to keep for my birthday, Christmas and sometimes at school prize-giving. Maybe six books a year? And I read about three books a week – thanks to the library. 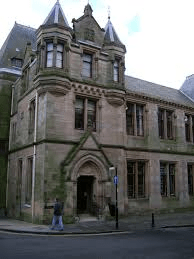 The library in question just happened to be in Dunfermline, the birthplace of Andrew Carnegie. It was the very first of the world’s 2,509 Carnegie Libraries and it whispered to my over-imaginative soul. It was a place of dark wood, dark carpet, dark shadows . . . while actually visiting it, I spent about as much time in daydreams as in books, I think. 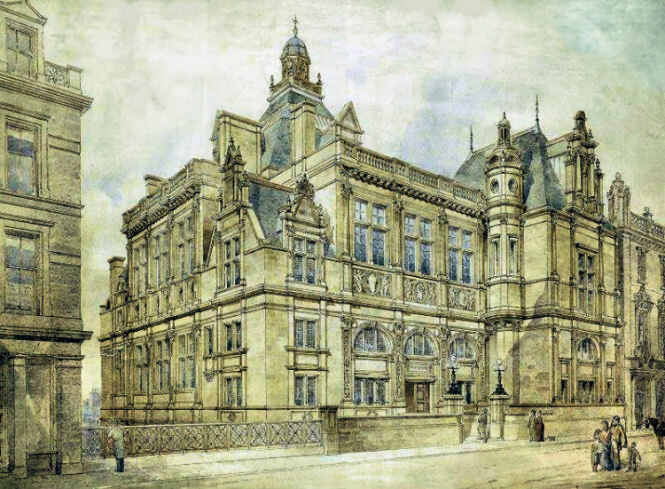 Later, when I was a student I spent my summers working at another Carnegie Library, on George IV Bridge in Edinburgh. This one is even more over-the-top than the Dunfermline building, but then it has to hold its own between a castle and a royal palace with a cathedral just across the road. I was lucky enough to get assigned to the Edinburgh room – basically, the local history department – I loved it so much that I worked there for two years after graduation, supporting my then boyfriend through his PhD. That was a time that truly changed my life. I went from knowing pretty much nothing about the history of my home city to knowing some of the most peculiar little details imaginable. And what I didn’t know I knew how to find out. Without the two years in the Edinburgh Room I would never have thought of historical fiction. But look at that – I’ve written ten books set in the 1920s now and I’ve managed to use every strange fact I learned at George IV Bridge. For instance, in the big houses with all the servants, jam and honey were kept in the kitchen cupboards as you’d expect, but marmalade was kept outside the kitchen in the cupboard with the soap and boot polish. Why? I have no idea. I’m hoping someday someone will tell me. Later still – I’ve told this story before but I’m repeating it without apology – I immigrated to California. My (now) husband came on a work visa and I came on a spouse visa, with no work permit. I wasn’t allowed a bank account of my own, or a credit card. I didn’t have an SSN and at times I felt as if I basically didn’t exist. But – there was one place I was welcomed with open arms. I was given a library card for Yolo County Library and it meant the world to me. Five years later, I’ve got a green card and an SSN but that Yolo County Library card is the one I love. Thanks to local author and library lover Catriona McPherson for this guest post, and her donation of books to our WFoL 2015 Big Day of Giving Treasure Basket.